Santa Claus is indeed coming to town, and it’s sooner than you think. 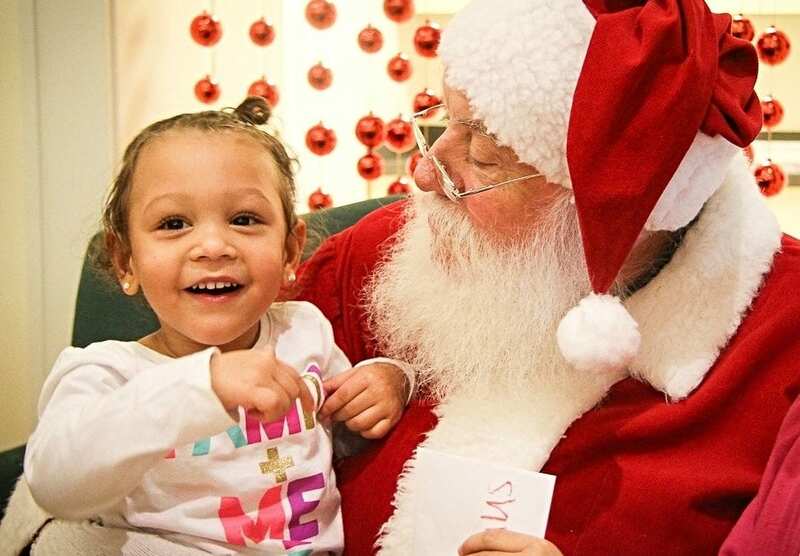 Breakfast with Santa returns to Downtown Lakewood on Saturday, November 24, from 9 a.m. to 12 noon when Jolly Saint Nick himself visits O’Neill Healthcare Lakewood (Assisted Living Building – 1381 Bunts Road). 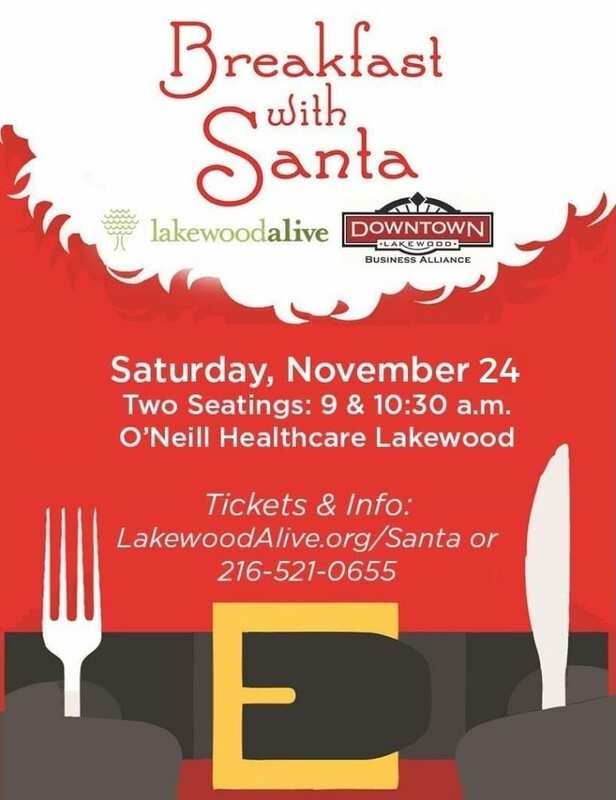 Presented by the Downtown Lakewood Business Alliance, a merchant association of LakewoodAlive, this popular holiday tradition consists of “Selfies with Santa” photo opportunities (bring your own camera), a seated breakfast (pancakes, eggs and sausage) and a children’s activity room featuring opportunities to write letters to the North Pole. This fun-filled, family-friendly event is open to all ages and is anticipated to sell out quickly. Tickets for both seatings (9 and 10:30 a.m.) of Breakfast with Santa are on sale now and can be purchased online here. General admission tickets are $12; tickets for children aged 3 to 8 are $7; and children aged two and under are free. Please note that highchairs and booster seats will not be available. Free parking for Breakfast with Santa attendees will be available across the street from O’Neill Healthcare Lakewood in the back of the Giant Eagle parking lot near Bunts Road. Breakfast with Santa coincides with Small Business Saturday, a nationally-recognized day to celebrate and support small businesses and all they do for their communities. Upon finishing breakfast, attendees are encouraged to visit the wide variety of independent shops and restaurants throughout Downtown Lakewood. Proceeds from Breakfast with Santa benefit the Downtown Lakewood Business Alliance, a merchant association striving to ensure Downtown Lakewood remains one of the region’s top destinations for dining, shopping and entertainment. For more information regarding Breakfast with Santa on November 24, please visit LakewoodAlive.org/Santa or contact LakewoodAlive at 216-521-0655.